This is a fascinating case study of financial aberration, authored by Bryan Taylor, Ph.D., Chief Economist, Global Financial Data. Which country has the dubious distinction of suffering the worst bear market in history? To answer this question, we ignore countries where the government closed down the stock exchange, leaving investors with nothing, as occurred in Russia in 1917 or Eastern European countries after World War II. We focus on stock markets that continued to operate during their equity-destroying disaster. There is a lot of competition in this category. Almost every major country has had a bear market in which share prices have dropped over 80%, and some countries have had drops of over 90%. The Dow Jones Industrial Average dropped 89% between 1929 and 1932, the Greek Stock market fell 92.5% between 1999 and 2012, and adjusted for inflation, Germany’s stock market fell over 97% between 1918 and 1922. The only consolation to investors is that the maximum loss on their investment is 100%, and one country almost achieved that dubious distinction. Cyprus holds the record for the worst bear market of all time in which investors have lost over 99% of their investment! Remember, this loss isn’t for one stock, but for all the shares listed on the stock exchange. The Cyprus Stock Exchange All Share Index hit a high of 11443 on November 29, 1999, fell to 938 by October 25, 2004, a 91.8% drop. 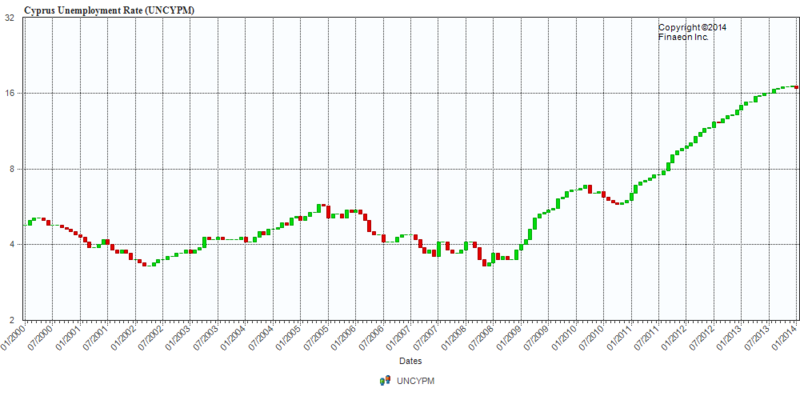 The index then rallied back to 5518 by October 31, 2007 before dropping to 691 on March 6, 2009. Another rally ensued to October 20, 2009 when the index hit 2100, but collapsed from there to 91 on October 24, 2013. The chart below makes any roller-coaster ride look boring by comparison (click to enlarge). The fall from 11443 to 91 means that someone who invested at the top in 1999 would have lost 99.2% of their investment by 2013. And remember, this is for ALL the shares listed on the Cyprus Stock Exchange. By definition, some companies underperform the average and have done even worse, losing their shareholders everything. For the people in Cyprus, this achievement only adds insult to injury. One year ago, in March 2013, Cyprus became the fifth Euro country to have its financial system rescued by a bail-out. At its height, the banking system’s assets were nine times the island’s GDP. As was the case in Iceland, that situation was unsustainable. Since Germany and other paymasters for Ireland, Portugal, Spain and Greece were tired of pouring money down the bail-out drain, they demanded not only the usual austerity and reforms to put the country on the right track, but they also imposed demands on the depositors of the banks that had created the crisis, creating a “bail-in”. As a result of the bail-in, debt holders and uninsured depositors had to absorb bank losses. Although some deposits were converted into equity, given the decline in the stock market, this provided little consolation. 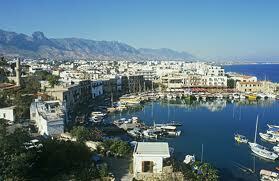 Banks were closed for two weeks and capital controls were imposed upon Cyprus. Not only did depositors who had money in banks beyond the insured limit lose money, but depositors who had money in banks were restricted from withdrawing their funds. The impact on the economy has been devastating. GDP has declined by 12%, and unemployment has gone from 4% to 17%. On the positive side, when Cyprus finally does bounce back, large profits could be made by investors and speculators. 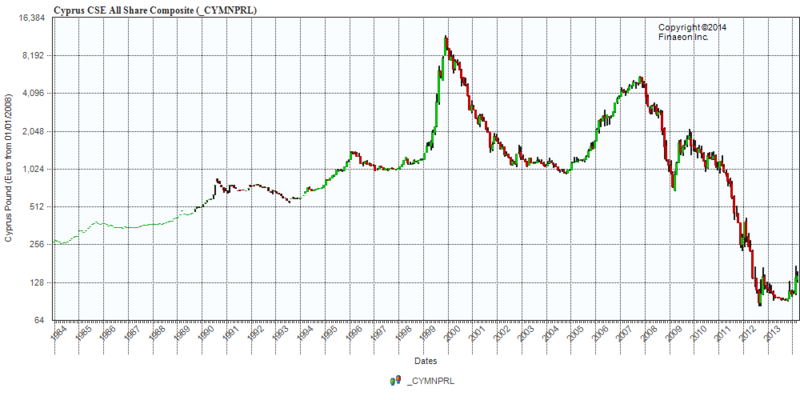 The Cyprus SE All-Share Index is up 50% so far in 2014, and could move up further. Of course, there is no guarantee that the October 2013 will be the final low in the island’s fourteen-year bear market. To coin a phrase, Cyprus is a nice place to visit, but you wouldn’t want to invest there.